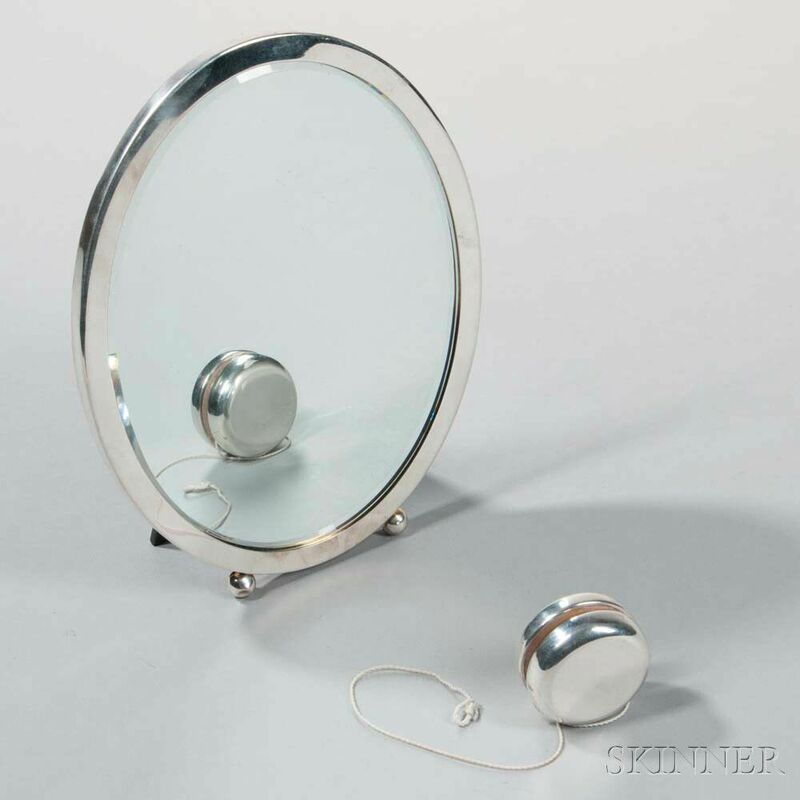 Tiffany & Co. Sterling Silver Table Mirror and Yo-Yo, New York, late 20th century, the mirror with an oval frame and beveled glass, ht. 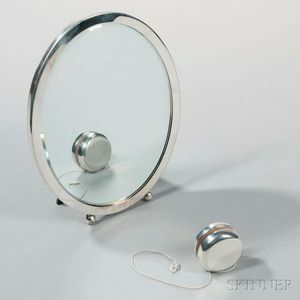 11, yo-yo dia. 2 1/8 in.